"Nicole's advice is a swift kick in the pants to the young, ambitious, upstart women out there who want control over their lives, debts, and careers." --Wendy WIlliams, host of "The Wendy Williams Show"
"Let Nicole be the doctor for your financial health and you will feel better in more ways than you'd think."--Dr. 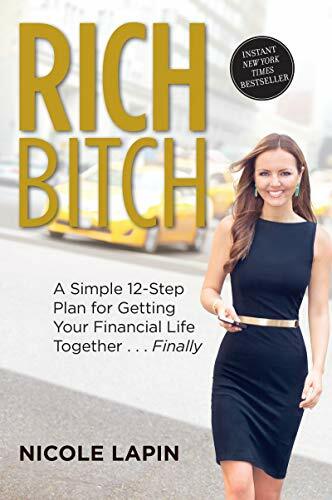 Oz, host of "The Dr. Oz Show," and Lisa Oz, host of "The Lisa Oz Show"
In this New York Times bestseller, journalist and financial expert Nicole Lapin shows women how to take charge of their lives by taking charge of their money. Do your eyes glaze over just thinking about the mumbo-jumbo language of finance? Do you break out into hives when faced with getting your financial life together? Well, sister, you are not alone.